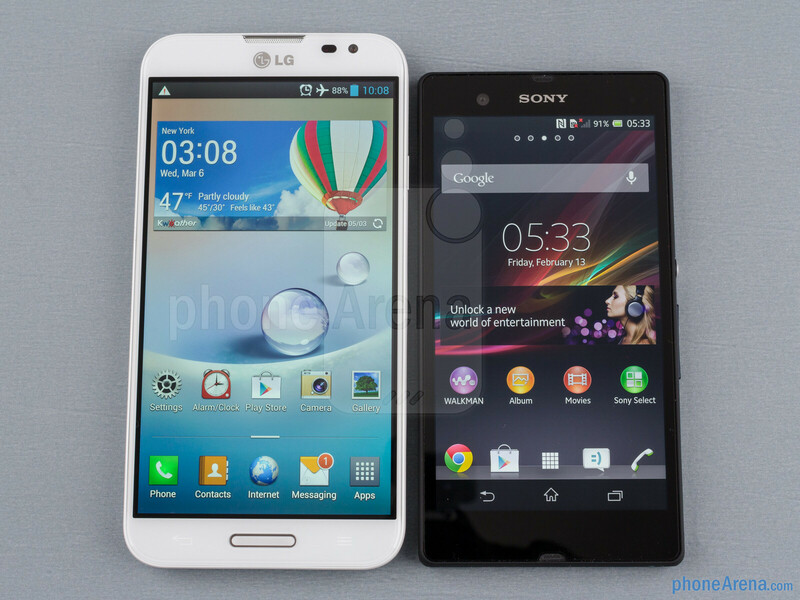 Sony Xperia Z or the LG Optimus G Pro? This will be one of the dilemmas before high-end phone buyers this season, so we stage a comparison to ease the decision-making process. The 5.5” Optimus G Pro version is very light and compact for a screen of this magnitude, thanks to the ultra-thin bezel around it, yet it is a challenge to operate safely with one hand, unlike the Xperia Z. Sony has used on-screen navigational keys, so its 5” flagship is pretty compact in its turn, and is thinner and lighter than the G Pro, making it more suitable for a daily driver in terms of ergonomics or plain old carry-around. Sony's phone also sports a more premium feeling in the hand with its glass unibody and metal power key, and is easier to grip thanks to the rubbery sides that also add to its durability and seal off the water-tight chassis. Both handsets allow you to add more memory via a microSD slot, but the G Pro has a removable back cover, too, that lets you swap its largish 3140 mAh battery. The G Pro houses a 5.5” screen with a bit lesser 401ppi pixel density than the 5” 441ppi panel on the Z, on account of the identical 1080x1920 pixel resolutions. In reality the density difference is invisible from a normal viewing distance, while LG's phone has the better display in almost any other aspect, especially viewing angles, which on the Sony Xperia Z are pretty bad for the phone's category, and one of the handset's weakest points. Even when looked head-on, the colors and contrast of the TFT display on the Z look more washed out than on the IPS-LCD panel of the G Pro. In terms of brightness both perform above average, with decent outside visibility, but, as we mentioned, colors and contrast deteriorate quickly on the Z with the slightest tilt of the phone. 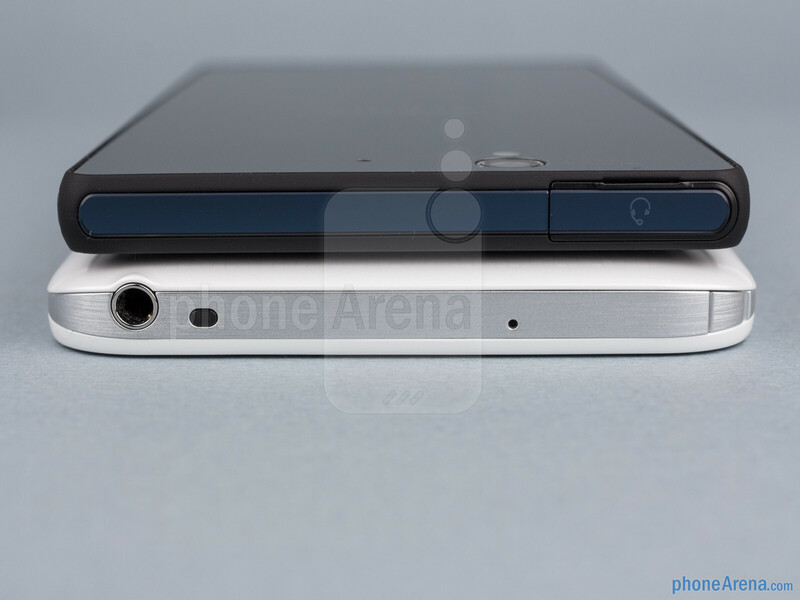 Obviously Xperia Z wins lol. +waterresistant +faster software updates +more custom roms for xperia z +not plastic +better cam now you know why? You can name everything the LG does better as well. At least try to approach this from both sides or your comment becomes completely irrelevant. 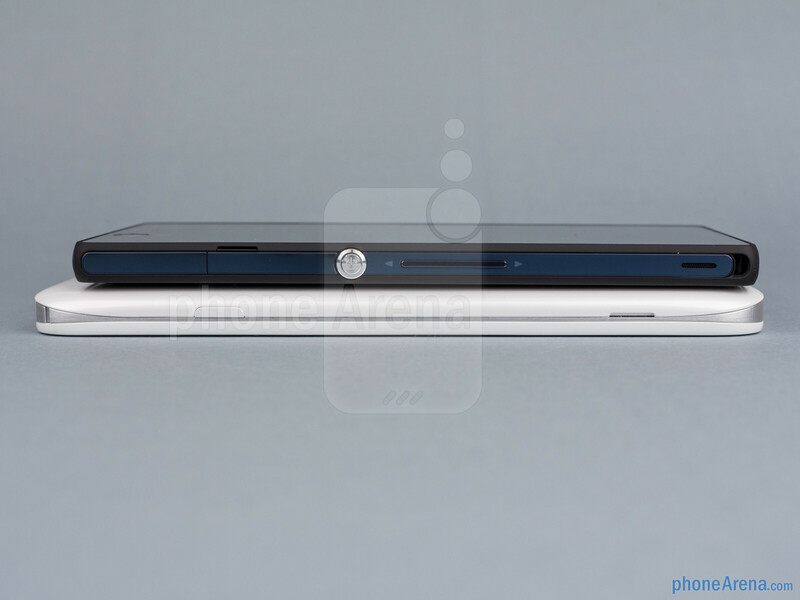 I'd personally go with the Xperia Z because it is more comfortable to hold and has a premium feel to it, wish it was coming to AT&T. -Water resistance is a bulls**t, created by Sony ;) -Faster software updates? You must be kidding...slow and no quality (ICS 4.0 for 2012 lineup). 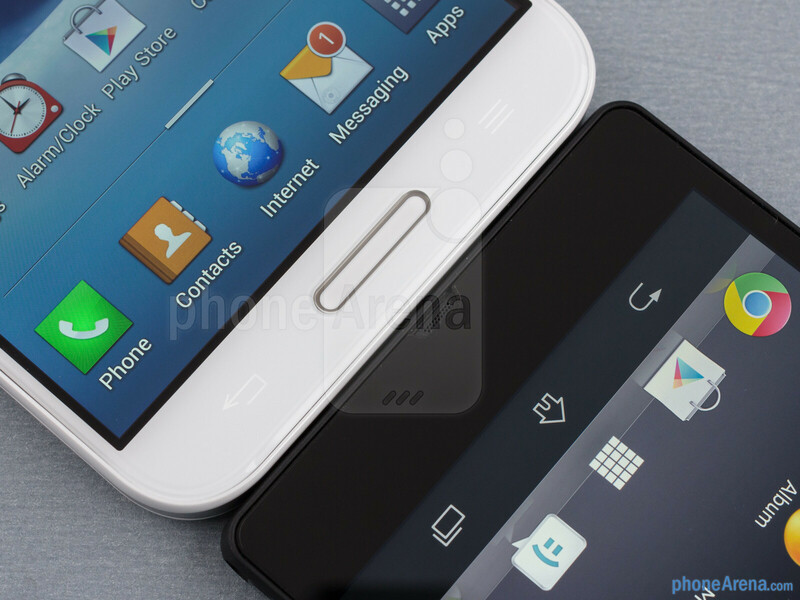 -Really small percent of users are using custom roms. 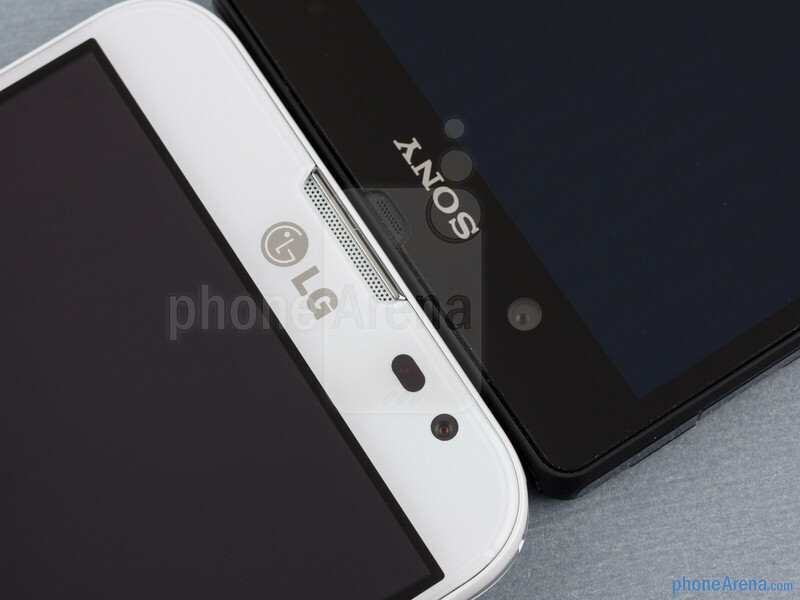 -LG plastic has brilliant quality, and it´s not as fragile as glass. (personal experience). -You can eat the 13mpx sensor for dinner and lunch...the same: no quality. Now I would like to ask you, do you know, why I don´t know? 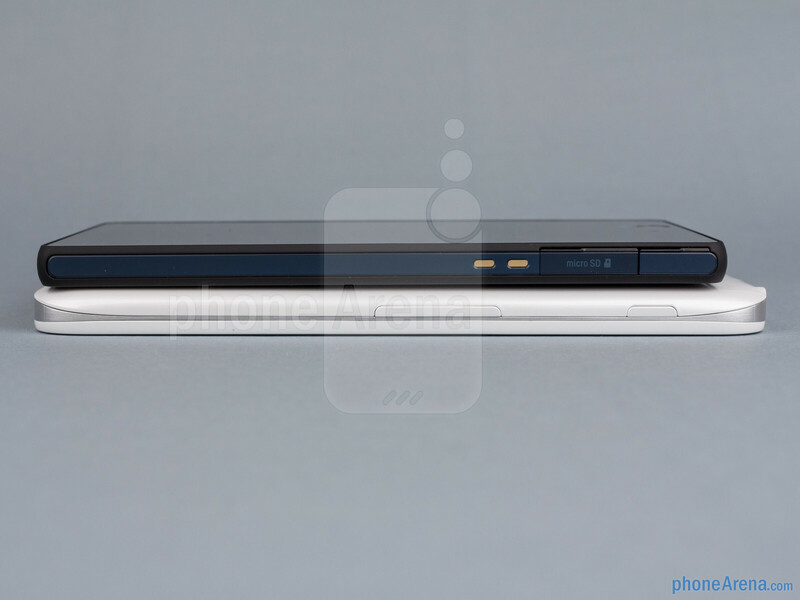 we can see some guy is really jealous of sony xperia z !!!!! Oh, of course...How can a human being be jealous of a TELEPHONE? Maybe, you have put something in your breakfast hat shouldn´t be there. 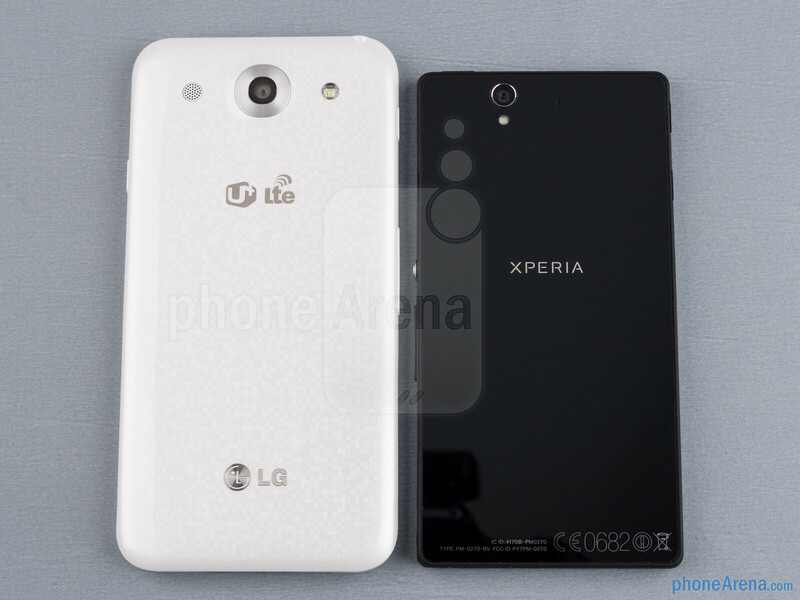 and more importantly, LG has IPS display while xperia Z still uses TFT crap. And the exmor sensor is too overrated. So water resistance is bulls**t but not having one is a good thing? -Water resistance is not bulls**t, I know from experience, -LG plastic may be tougher but plastic can never match glass or metal in terms of quality, -Sure, megapixels don't usually matter much, but it still counts, in terms of the image resolution. Says the person whose user profile says: "My goal is to attract as many red thumb as I can, and pretend Apple fanboys (and Samsung fanboys as well) to show how stupidity these fanboys are :)." 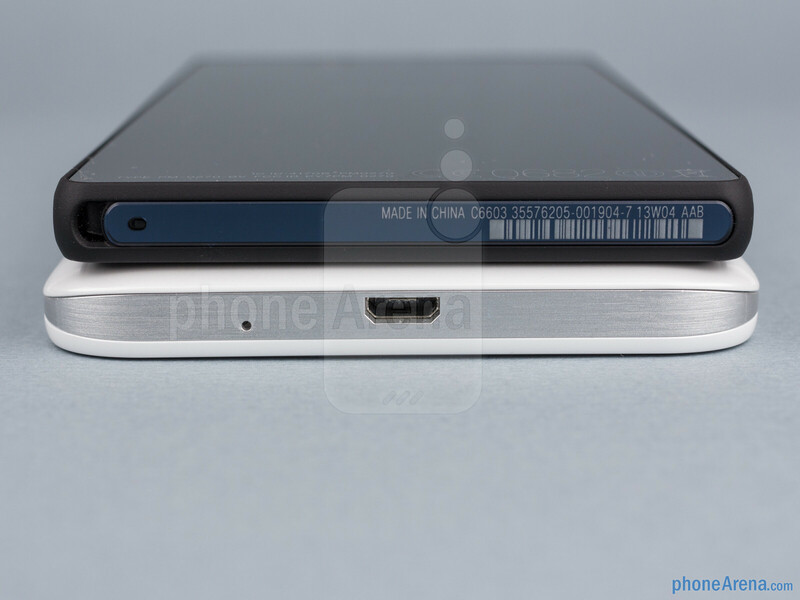 While I would personally choose the HTC One over these device they certainly do not look like crap. It's sad to think that you believe Samsung's plastic phones do NOT look like crap and that these do. *Samsung makes great phones, but they do not look very good IMHO. why sony?? whats this hell?? sony only focus on watter proof but whats another its has?? -not good screen -sh~~y camera -non removable battry -high cost -mid battary but not good at all then sony want to cover all this sabotage with water proof!! Stupid Sony!! I bath with my Xperia Z. What's the problem? The screen is 100% gorgeous! 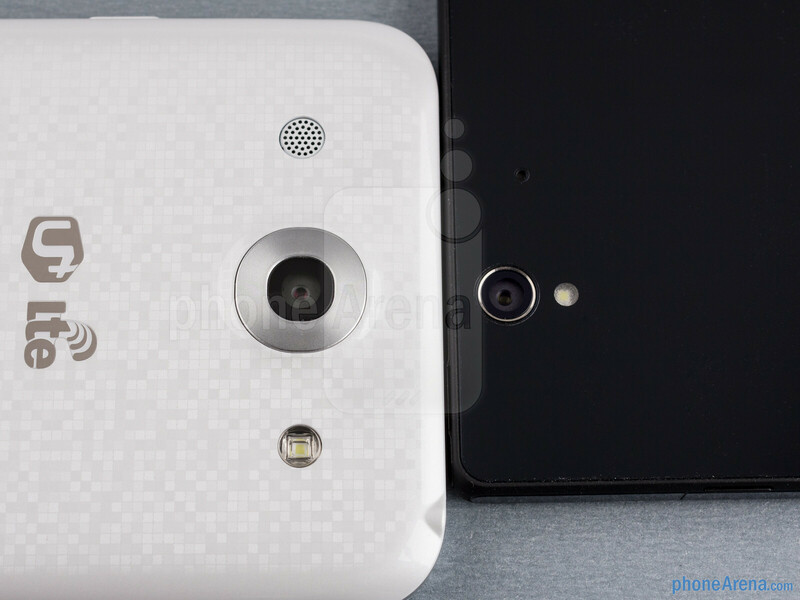 Don't remember that there's the Mobile Bravia Engine 2 there for great photos and great video. The camera is extremely detailed and delivers very realistic photoshots. If you are not satisfied with somehow strange color, you can surely fix that in the standard photo mode, instead of using Superior Auto. Good screen but compact device always comes with a not too long-lasting battery. I don't know what you're talking about the high cost but in my city is 1/5 cheaper than the other expensive phones. No way... G Pro rules! If you show both phones to random people, they would obviously choose the Z. And btw Xperia Z also support Wifi direct and Miracast. 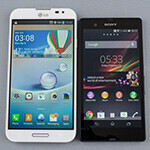 I chose Sony Xperia Z.
Optimus g pro should have won but it loses because its an lg!